A discussion of analogies for thinking about digitized medieval manuscripts, presented by BiblioPhilly co-principal investigator Dot Porter at the University of Kansas Digital Humanities Seminar, September 17, 2018. In this talk, which presents research and concepts in the embryonic stage, Porter asks “If a digitized manuscript isn’t a manuscript, how can we present it in ways that explore aspects of the original’s manuscript-ness, ethically and with care, while both pushing and respecting the boundaries of technology?” Although this practice of thinking about what it means to digitize a manuscript and what that becomes seems really philosophical, Porter continues, she contends that this is really a practical question. She presents the concept of the Uncanny Valley, from robotics, in which the more human and lifelike a robot appears, the better received it is — until it becomes too lifelike, and even creepy. This is the territory of the Uncanny Valley, and the way this might inform thinking about digitized manuscripts. Porter’s presentation draws upon a number of digital representations of manuscripts, including images, page-turning interfaces, videos, and collation models. 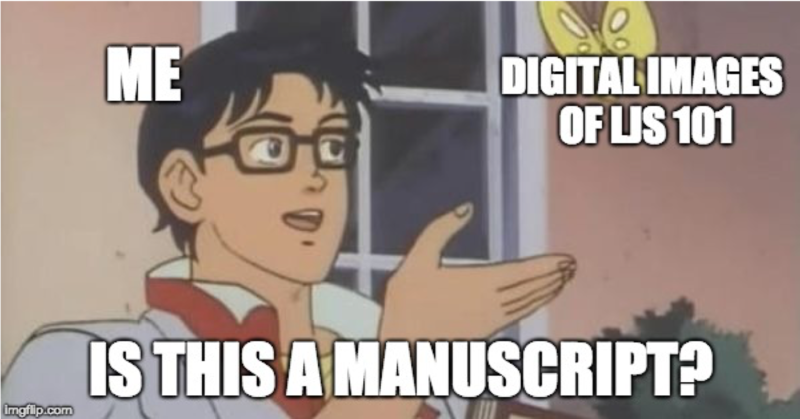 She concludes with a discussion of the concept of “The Ghost in the Machine” and the degree to which a digital representation of the manuscript can and cannot convey the Ghost or the aura of the manuscript. @InnocentOP @WillNoel I displayed that ms and wound up connecting it with @EleanorGiraud who worked on it for her dissertation. I had to get her advisor microfilm because it was too expensive to digitize it at the time. She just saw the color version a couple months ago thanks to #BiblioPhilly!!!! Copyright 2018, PACSCL. Bibliotheca Philadelphiensis is supported by a Digitizing Hidden Collections grant from the Council on Library and Information Resources (CLIR). The grant program is made possible by funding from The Andrew W. Mellon Foundation.